You are going to investigate 3 strategies for economic development around Studland Bay and decide which is the most appropriate for the area. Look at the map on the right hand side. Why do some sections of the coast stick out further than others? Swanage is a popular tourist destination on the South Coast of the UK as highlighted by the local tourist board. 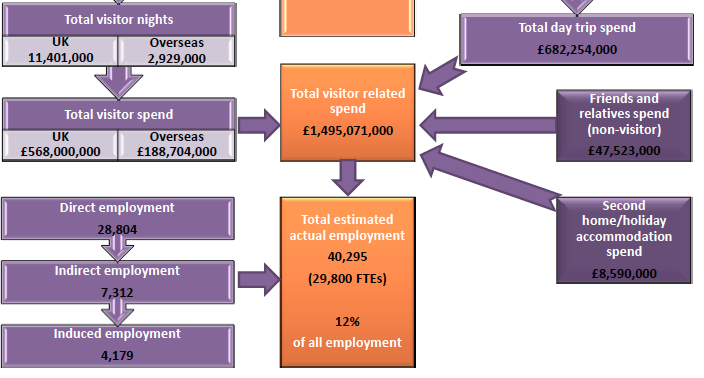 The image below shows how important tourism is for the areas economy. look at the flow chart then answer the questions below. What percentage of people in the area work in Tourism? What sector is this in? Second homes bring £8,590,000 to the economy, what problems does it also bring? Give 3 examples of how money can be generated from these visitors? What will the local councils and businesses have to do to ensure that these visitors keep coming back? Studland is a rich habitat for wildlife and an area of outstanding natural beauty which is why it is run by the Natural Trust to ensure it is used sustainably. There are many endangered species in the area which live in this fragile natural environment such as the SeaHorses which live in the Eel Grass Meadows explained on this website. The summary below gives an explanation of the issues this environment faces which may damage the ecosystems in the area. The National Nature ReserveThe south east Purbeck National Nature Reserve (NNR) covers an area of 631 hectares and comprises of a variety of habitats which include five kilometers of beach, dunes, woodland, bogs and lowland heath. In fact this is one of the largest tracts of heathland in southern Britain with all six species of British reptiles present with nightjars and Dartford warblers as well as the carnivorous plant the sundew and the globally rare masonry wasp. 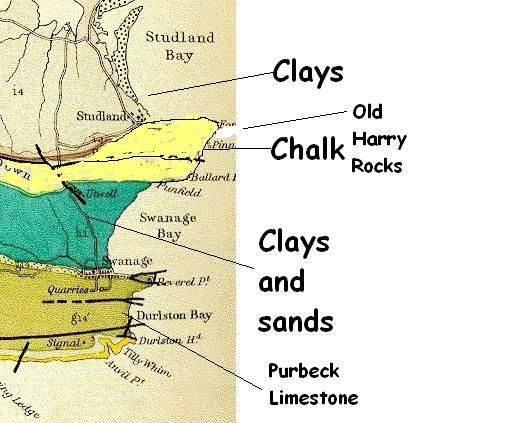 The natural processesThe geology of South Haven Point is a combination of Oakdale clays to the north which lie against the Ferrung sandstone which constitutes the geology of the shore to west of the peninsula in Poole harbour. It is against this that the formation of Studland heath and sand dunes had a base to create itself. Human impactStudland beaches are one of the most popular beaches in Britain at any one time in summer there can be as many as 25,000 people on the beach a day, evidently there is an impact. Why is it important to protect the coastal ecosystem at Studland? What are the threats to the ecosystem? Try to identify different users in the area.